Selecting the right hardware and software for your home flight simulator can surely seem daunting. And it should be. 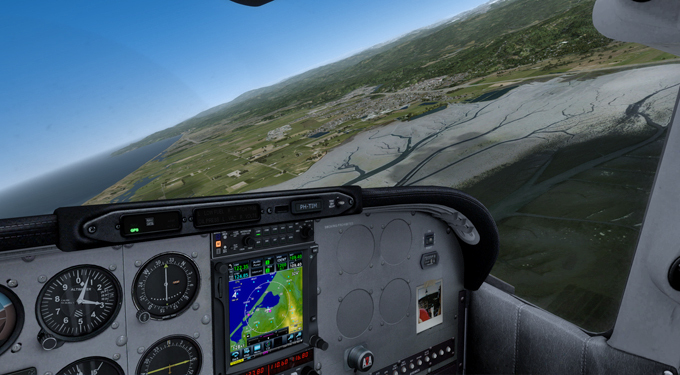 Home flight simulation is a serious opportunity to develop advanced real-world flight skills. Your specific setup determines what kind of flight simulation experience and training opportunity you will get. If you’re serious about this, think twice about the stuff you’re installing and buying yourself into. Clearly, there’s a wide range of interesting flight simulation software out there. We can choose from a variety of excellent flight simulators, such as Microsoft Flight Simulator X (FSX), X-Plane (XP) and Prepar3D (P3D) that each have their own advantages and disadvantages. And don’t forget the incredible third-party add-on software and hardware that can make a big difference in the kind of flight simulation experience you get. Little did I know a few months ago about what to look for in my first flight simulator setup. I spent several months figuring out my flight simulation needs, searching on forums for recommended third-party add-on software and hardware, learning about required computer hardware, and watching virtually every Cessna 172 flight training video on YouTube to identify relevant flight (training) aspects that I should consider accounting for – both technically and educationally – in my setup (PS. I archive all interesting flight training videos I come across on YouTube in publicly shared playlists on my YouTube channel). While I still have some way to go to complete my setup (budget wise), I’ve tested all essential software and prepared a fitting flight simulator plan. I like to dedicate this first post to outlining what I believe to be the perfect flight simulator setup for me and share the technical and educational considerations that guided me. I don’t in any way claim to be a flight simulation expert (check out Froogle if you’re looking for one), nor do I aspire to be one in the future. I’m merely using uncertifiedpilot.com to track and share my progress as I train to come as close to an actual Instrument Rating in Prepar3D as I possible can. Please feel free to comment on my blog posts and critically review my opinions, ideas and experiences shared. As I said, I consider myself a student pilot in every aspect, looking for any opportunity to learn from you and the possible learning resources that you might recommend me using. I can’t wait to get started and meet many of you who aspire to use flight simulator as seriously as I do. 0. Figure out your flight simulation needs, first. So the first question I asked myself was what kind of virtual aviator I aspire to be. Not just in a spiritual way, but in a real tangible way: what do I require from my flight simulator setup in order to meet my flight simulation goals? I want to be a virtual, Instrument Rated, General Aviation pilot. I’m interested in actual VFR and IFR flight training, developing the fundamental and advanced flight skills that actual IR pilots demonstrate in the real world. I’m interested in developing the know-how of safely and adequately participating in real-world ATC. In other words, I would like to be able to step into a real Cessna Skylane one day and be able to impress my flight instructor with a significant head start. Alright. So, GA, training-oriented, VFR and IFR, ATC. How about the things I’m not that interested in? I’m not that interested in autopilot flying but like to fly entirely by hand. I don’t need to fly all over the world; I’m not interested in sight-seeing and eye-candy per se, other than highly realistic virtual cockpit textures and VFR-proof scenery (for training). I’m not interested in “fun flying”; playing around with countless aircraft and completing missions. It seems that I have a narrowed-down interest in flight simulation. You might see that explicitating these personal likes and dislikes greatly aids your search for setting up a home flight simulator that is just right for you. PS. You can find a quick overview of my current flight simulator setup on this Prepar3D config page. True, FSX classic and FSX Steam do not support the latest graphics cards (no DirectX 11 support), are limited to a 32-bit architecture (and thus limited to using only a maximum of 4GB of RAM) and mainly drive FSX based on raw CPU power. The FSX Classic development team doesn’t exist anymore and can no longer offer any future upgrades to FSX’s flight simulation architecture. And the FSX Steam team (Dovetail) has no license to implement core upgrades, but is only allowed to do small fixes, add new DLCs, welcome new third-party add-ons, and distribute FSX on Steam as is. In my honest opinion, FSX is dead. Yet FSX still provides the best compatibility with existing third-party software and has a huge community base (since it has been here for such a long time). If you consider yourself a serious flight simmer though, starting anew, go with either X-Plane or Prepar3D. Both X-Plane and Prepar3D have active development teams that are constantly upgrading their core engine architectures to make full use of today’s graphics cards and multi-core CPU computers. Why does this all matter? Well, I like my flight simulator to run as smoothly as possible (i.e. highest frame rates per second) to get the most realistic and authentic flying experience. And to make use the most realistic looking airplane, fly across the most realistic looking sceneries, in the most realistic looking weather systems, I need all the RAM, GPU and CPU power I can get. Even more so when anticipating any future simulator upgrades and add-ons (like support for Microsoft’s Hololens; imagine that!). So, I would go with either X-Plane or Prepar3D (see next bullet below) and invest in the best graphics card I can afford, at least 16 GB of fast RAM and most importantly, a quad-core CPU (or better). It doesn’t matter much whether you have SDD or a regular hard drive (doesn’t effect frame rates at all but just significantly shortens loading times), but be sure to have at least 150 GB of hard disk space available to install Windows 7 (or up), your flight simulator, and software add-ons (add-on scenery can take up a lot of space, especially if you plan to use photorealistic scenery). I’m going with a full-packed iMac. I’m a Mac user already, so by using Boot Camp Assistant I can use both Mac OS X and Windows 7. I also like the idea that the entire machine is already set up and that Boot Camp Assistant includes all latest Windows Drivers which are seamlessly installed during the Windows 7 install process. Did I mention I’m a lazy computer user? 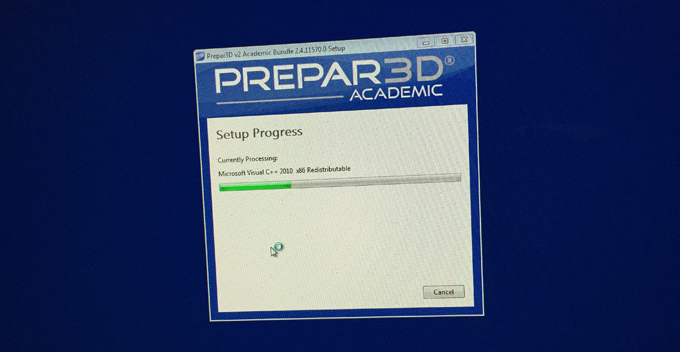 I go with Prepar3D (P3D). P3D is developed by the Lockheed Martin team (yes, THE Lockheed Martin) and is based on Microsoft’s ESP software, which is the core flight simulation architecture used for FSX. While Dovetail has bought the license to distribute FSX, Lockheed Martin has bought the license of ESP … and with that, the opportunity to implement any core upgrade or improvement to FSX’s flight simulation engine. Since P3D version 2, P3D makes use of today’s latest graphics cards, supports DirectX 11, offering stunning light effects, volumetric clouds, etc, but also includes many bug fixes that make the system highly stable (still 32-bit though, but this will change soon). What I also like about P3D, is that it is designed for serious flight simmers and actual student aviators. They removed the entire “fun flying” content of FSX and created a lean, stripped-down UI that is very similar to that of FSX. Also, all leading third-party FSX developers offer versions of their software that are already fully compatible with P3D. The one thing I like about X-Plane 10 is that it offers interesting in-flight events, such as bird strikes, very specific aircraft failures, all in a very realistic manner. 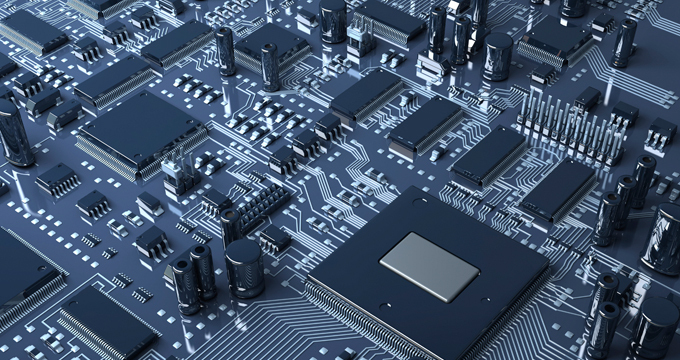 It already offers a 64-bit architecture and supports all latest graphic cards. Experts say that X-Plane also offers a more realistic flying experience, especially for helicopter flying. However, in terms of flight realism, an awesome company called A2ASimulations creates highly realistic GA airplanes for both FSX and P3D that includes similar (if not better) flight realism (see bullet 4). Also, X-Plane’s UI looks hideous, and virtually none of the leading third-party flight simulator developers offer products for X-Plane (yet). Did you know that a few of the old FSX developers are now working with Lockheed on P3D? No, P3D seems best. I go with P3D. I’m interested in developing advanced flight skills in the most realistic manner possible. I just cannot do with just a mouse and keyboard. I need a yoke. And I also need rudder pedals. I also need a trim wheel, since I’m planning to fly by hand. 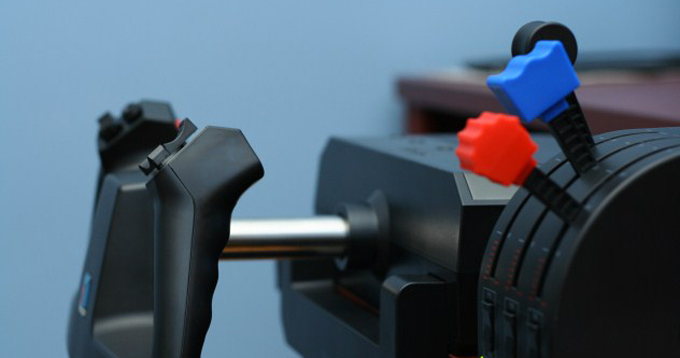 Saitek offers awesome flight controls for flight simulation. Actually, they even sell hardware specific to Cessna Skylane simmers. Seems a perfect fit to me. With regard to bullet 4 and 8, I will fly a Cessna Skylane and use PilotEdge (see bullet 8 below) to fly in real-world ATC. This means I like to make use of a throttle panel that is similar to that of the Cessna Skylane (Saitek sells one! (not the one in the picture above)) and need a way to quickly switch between radio frequencies. Concerning the latter, while I can use my mouse pointer to change radio frequencies in the virtual cockpit, this takes me too much time and distracts me from flying. This is why I will get myself Saitek’s radio panel too, so I can quickly change frequencies during ATC work just as easily as in the real-world. Keith Smith, CEO of PilotEdge, personally recommends users to get themselves a radio panel, if they can afford it. Although Saitek also sells separate instrument panels (even an entire GA Saitek cockpit), I expect that too many hardware add-ons on my desk will actually downgrade my sense of flight simulation immersion and absorption; it’s the virtual cockpit on my computer screen that ‘transports’ me to my own universe of flying and makes me feel being really there, flying at 3500 feet, flying a realistic airplane … rather being presently aware of my living room, sitting on a chair in front of my desk, scanning my hardware panels, seeing my instruments twice (hardware and in virtual cockpit), and being constantly reminded that I’m not actually flying but just sitting in front of a computer. Don’t know if I’m making sense, but I like my virtual cockpit to constantly seduce me and receive my full attention, and my flight controls/instruments to be supportive of this. A2ASimulations Cessna Skylane 182T. Nothing comes close to the level of aircraft realism that A2A offers. 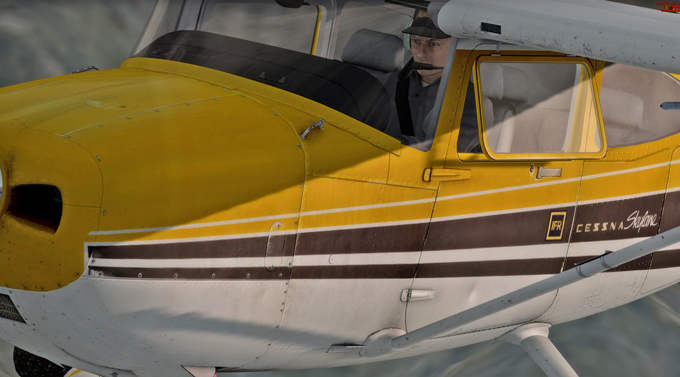 Seriously, if you’re looking for a realistic Cessna 172, Cessna 182, or Piper Cherokee, look no further. Just check them out. As I already mentioned, I’ll be flying in “virtual cockpit” mode so that I can freely ‘look around’ in my virtual cockpit, just like an actual pilot would. Well, still, it wouldn’t be that realistic though if I could only use my POV switch on my joystick to look around. TrackIR Pro provides hardware that transposes your actual (multidimensional) head movements onto your virtual viewpoint. Imagine that. This is great. 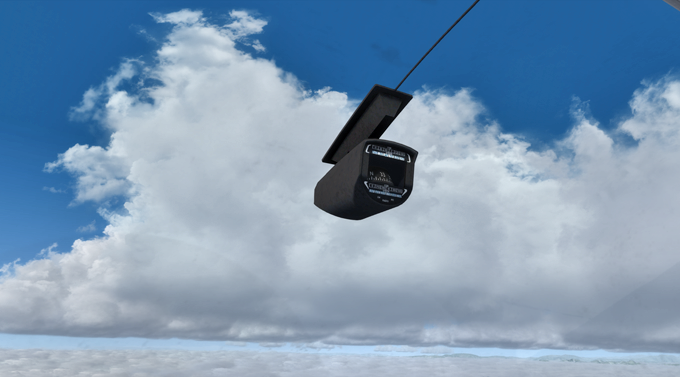 TrackIR makes flying much much more realistic and easy, while greatly enhancing the level of simulator immersion. I’m also using EzDock Camera Addon to add subtle but realistic head shakes and ‘bumps’ to my virtual viewpoint in order to make my virtual presence in the cockpit seem even more pronounced. Although I aspire to become Instrument Rated in P3D, I need to become VFR proficient first. Pilotage is only possible if you have photorealistic scenery. ORBX delivers. ORBX offers incredibly detailed landscape and airport scenery, providing photorealistic textures and gorgeously “intimate” airfields that are a joy to fly to and check out. 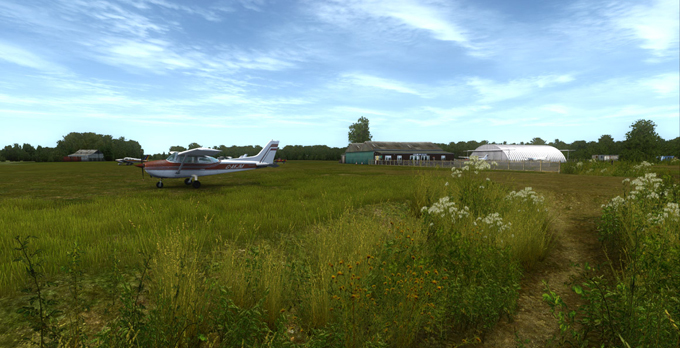 Get ORBX’s FTX Global Base, FTX Vector, and FTX OpenLC. This will give you a solid, photorealistic “base” scenery of the entire world. Then, get specific with regional and local scenery. This is where I will use ORBX’s North California and upcoming South California regions, together with most, if not all, specially made airports for these regions (that look even more stunning than the regular ones). Why North and South California? Well, as I describe at bullet 8, I fly with PilotEdge. And PilotEdge’s service area currently only covers parts of North and South California. So naturally, I will make sure that that region’s scenery is top-notch. I don’t care about other parts of the world. North and South California provide me with all the airspace I will ever need to practice and enjoy VFR and IFR flying with my 182. 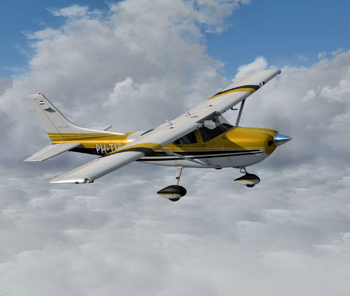 Active Sky Next and REX4 Texture Direct significantly upgrade P3D’s weather system with features such as detailed cloud formations, ambient weather effects, and weather mapping. As part of my training, I have to be able to cope with all sorts of weather systems, including planning my flights based on current, real-world-weather. Just look at the outside view. These clouds look amazing. PilotEdge is awesome. Perhaps even my most favorite add-on. 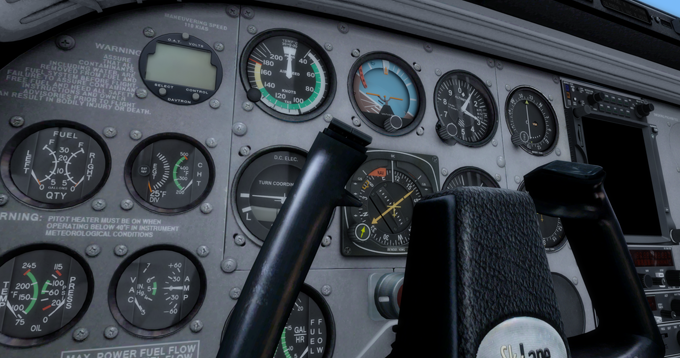 PilotEdge makes your flight simulator come alive. It’s a premium “IVAO or VATSIM” kind of add-on, but run by actual ATC controllers. This means that you can fly around parts of North and South California (their service area is currently limited to this airspace) and do any kind of VFR or IFR flying, using actual real-world ATC protocol, together with other (student) pilots online. It’s a multiplayer network of serious flight simmers, using real-world ATC protocol. These guys really know their IFR stuff, but offer VFR too (which is a big drawback of IVAO and VATSIM that is mainly IFR based). With PilotEdge you can file flight plans, request flight following, and even do VFR and IFR checkrides to earn ratings. PilotEdge is based on actual flight regulations (including the use of actual special/restricted/etc. airspaces, airspace transitions, emergencies, non-towered airfields, etc.) 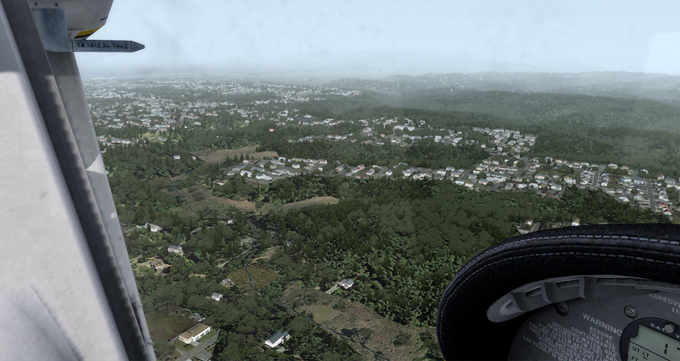 and provides virtual aviators with a highly dynamic and highly realistic airspace to practice VFR and IFR flying. It should hold steady, I’m sure. What do you think? What are you running on? Hi Garry, I’m running on this iMac. Well, your iMac config seems powerful enough to run P3D … however, I expect not with maxed out settings. If you’re not primarily focussed on getting all the eye candy one can get, you’ll be fine! Nice write up !i have similar goals , flew p3d/pilotedge for about three months and got through all the vfr check rides , was about to start ifr and had to have brain surgery to avoid dying :( just starting to recover and get back to flying online ,have dusted off the trusty a2a Cherokee and hope to be back on PE soon!! Hi, thank you for this very helpful article. However, I’m confused. I want to get the current iMac (4 GHz Quad, 16 GB RAM, Radeon R9 M295X 4GB GDDR5) to run Prepar3d, but whenever I read about iMacs and Prepar3d I read that it won’t run well at good settings. Those posts are quite recent so I guess that includes iMacs like the ones stated above. Are there any video recordings of your simulation? Unfortunately I can’t find any videos on your YouTube channel. Thanks for your help! Hi Thomas. Well, I’ve got the maxed out iMac (non-retina) from late 2014. That model runs Prepar3D just fine with almost max settings (and using add-ons, such as ActiveSkyNext, ORBX, A2A); around the 30 fps. However, I’m sure that you can give the iMac a hard time when loading extreme detailed airports, with lots of AI airplanes, etc. So if you’re looking for a really really powerful pc for your flight simulator, skip the iMac. Best artical I have come across that reflects my own goals in flight simulators . The only difference is I am going in the recertification process for my 20 year expired FAA CERTIFIED FLIGHT INSTRUCTOR AND MULTI ENGINE FLIGHT INSTRUCTOR CERTIFICATION I am doing this by adding a Certified Instrument Instructor rating add on. I am having my computer built Windows 10 OS and will run P3D won’t go into detail on the build other than Intel I 7 Nvidia 970 GTX And Liquid cooled tired of low budget computers that don’t get the job done!!! Why would I do this when I work at a flight school with a Level D Boeing 737 full motion simulator as well as a full motion King Air simulator and multiple non motion brand new 5 screen Red Bird flight sims( running P3D)? Have you looked into the Redbird Jay? It’s all ready to go with no set up required. I just passed my private pilot checkride but want a sim to begin working on my instrument. I’d rather put the time into training rather than researching, thus the Jay. Please take a look at it and give me your opinion. It uses the Lockheed Martin software. Thanks for the tip, Rick. Once my iMac fails on me, I’ll consider getting such a pre-configured setup! Enjoyed the article. I have what was the best of the best that Fry’s had to offer in 2009 to power my Flight Training Device. I was using FSX at the time and eventually climbed on board the P3D capsule. I’m going to rebuild mine from the ground up shortly. I was wondering if you use multiple monitors? I have 2 in the front and one on each side for realism. I use some Saitek controls too. I’m considering a motion platform this time along with trying to encapsulate it all into an old real cockpit. What I’ve learned is that what makes a great flight simulator is the same thing that makes real airplane’s fly. I have decided to start all over. I love eye candy and vfr flying. I regret buying an iMac as I can’t use trackir with it . I have just discovered that X-Plane 11 can be flown with a vr headset. I have been reading vr is very demanding on hardware, I want fast frame rates and graphics on full. Unfortunately I have no idea what spec of pc to buy. I don’t mind paying for something that will do a good job of vr, photo realistic scenery etc. Any suggestions? Any advice would be greatly appreciated. Hi Karl. Well, you could always use Boot Camp to install Windows 10 and run XP/P3D/FSX on that drive. Worked flawless for me back in the day. Hope this helps! What can I expect for total price in setting these thing up? It’s also one of the main issue. I am interested in setting Flight Sims fully at my home but there is limitations for the amount of buck I can spend. is there a way to get someone to come and set up flight simulator for me at my residence in LA ? I’m afraid I cannot help you with that Brian… There are, however, many tutorial videos on YouTube that explain to you how to set up FS yourself. Hoping this helps! Tim – what would you charge to come out and set this up at my house? Soup to nuts set up, tutorial, everything. Travel covered. Hi Tom! Thank you for the invitation :-) Would love to help you out, but your request is currently beyond the scope of what I do. Perhaps sometime later! I am 9 years and very keen to learn through simulation and be trained for flying from my home PC. My aim is to get professionally certified by 14 years of age and fly by alone a 2 engine flight by alone by 14 years. Please help with where and on what to begin. Hey , this is an excellent post. I am an Instrument rated pilot trying to set up a home Sim program for a DA 42 . Would love to know what type of setup you used for the hardware, the chair and controls etc. Perhaps you can post a picture of the setup. Also did you end up using the P3D or the X- plane? I would be very much appreciated if you kindly help me with your product information.